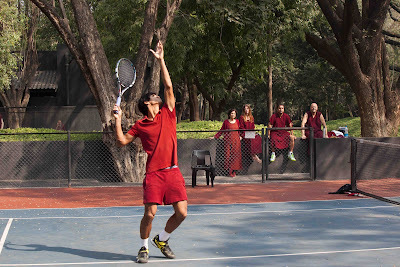 While on a Pune visit Somdev, the top tenis player came to the Osho Meditation Resort to participate in Osho meditations. Few people know that Somdev is an avid reader of Osho's . He has read Osho books such as The Book Of Man, The Book Of Woman, A Sudden Clash Of Thunder, Fear, to mention the few. Somdev said, " I have been reading Osho and his books have given me lot of mental strength. I am very happy to be here. It is rare to find such a place where everybody is working on themselves. It brought me out of my comfort zones, like dancing. I never danced before but here I danced a lot. And it was great fun and relaxation. Osho Dynamic Meditation is another discovery. I did fast breathing and screamed in Dynamic Meditation which I could never imagine I would do publicly. 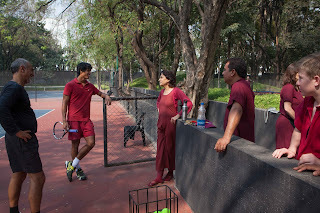 Dynamic Meditation is tougher than playing tennis but I tell you, it feels very good afterwards. "Osho books have given me courage to overcome my fear which grips every sportsman before a match. I observe other sportsmen, they may have certain skill but that doesn't mean they are good in other areas of life. To ge a good human being an inner work is needed ¬¬ the kind of work people are doing at Osho's place. It was lovely to talk to many people from many countries. I felt free here because I was not judged, not criticized. I was allowed to be myself. "When I play I feel I am limiting myself, cannot play the strokes I would like to. I thing coming here more often could change it. The anger, jealousy, competition of the opponents used to affect me before but now I am cool about it. And the tennis court! It is superb. 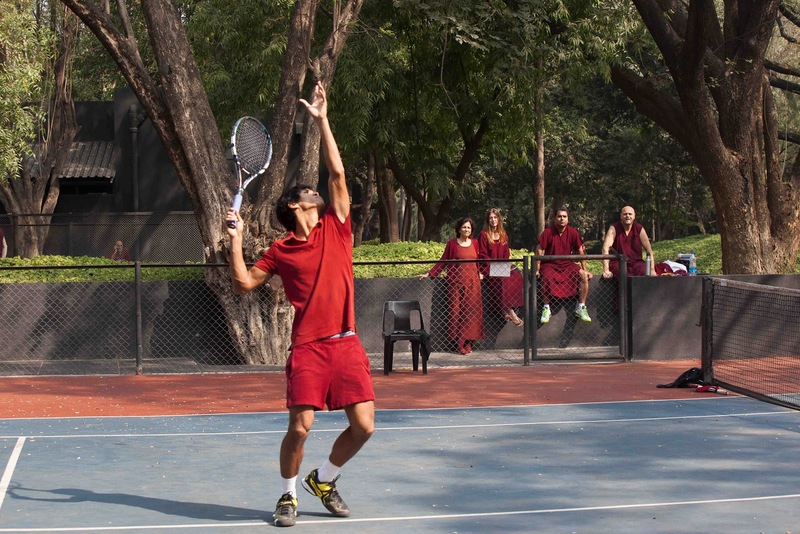 The quiet all around, the greenery and the quality of the court is very beautiful. I will be coming again to work on myself." Don't be touchy, get touched!